A South Korean court says it has approved the arrest of ex-President Park Geun-hye over corruption allegations. Friday's ruling by the Seoul Central District Court means that prosecutors can immediately put Park in a detention facility. Prosecutors can detain her for up to 20 days before formally charging her. Prosecutors have been pushing to arrest her over allegations that she colluded with a confidante to extort money from businesses and committed other wrongdoing. 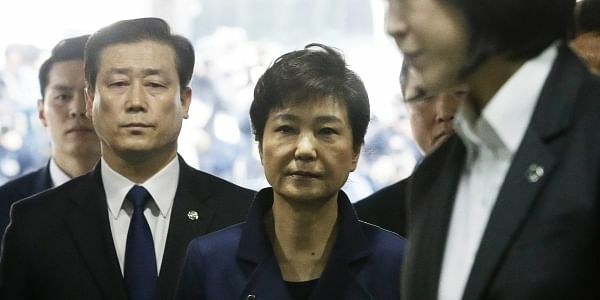 The Constitutional Court ruled to dismiss Park over the allegations earlier in March, three months after Parliament impeached her.